You are invited to an exceptional Culinary Demonstration with chef Matthew Hodgett! We have separate events running in April and May 2019. Please see the details below and use the contact email address to register. English born Chef Matthew Hodgett first trained at Stamford College, but it was well before beginning his career at Stamford Hotel that he discovered his love for pâtisserie. 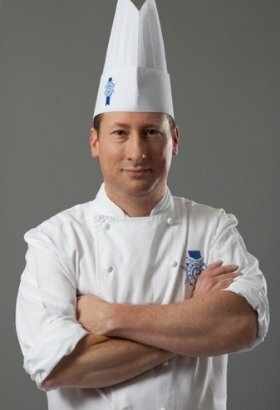 Chef Matthew joined Le Cordon Bleu London in 2010 as Pâtisserie Teaching Chef. He has since taught classes in Korea and Poland as a representattive of the school. Chef Matthew has also contributed to a number of highly intricate and elaborate cakes which Le Cordon Bleu London has produced: namely the 150th birthday cake for St Pancras International inspired by the iconic destination, a 9 ft replica of Queen Elizabeth's and Prince Philips 70th wedding anniversary and Le Cordon Bleu's very own 120th birthday cake. Learn more about our Pâtisserie programmes here.